Aikido Seishin Kai was formed in 1996 and has clubs in Manchester and Stoke-on-Trent. 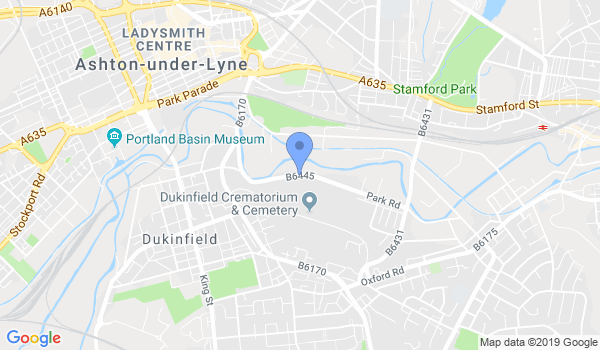 The Manchester club is based in Dukinfield. We practice the traditional style of Aikido, as taught by Morihei Ueshiba or O Sensei. Andrew Hodgin 5th Dan and Gavin Taylor 4th Dan are instructors at the club. We are an inclusive, family-friendly club, made up of male and female members from different ages and backgrounds. Training at the HITT Station every Monday and Thursday between 20:30-21:30. Would you like more information on hours, classes and programs available at Aikido Seishin Kai? Please contact the school with your questions. Update the details, Write a Review or Report Error of Aikido Seishin Kai. This Chart shows the Martial Arts Styles offered most in Manchester, UK area. View a list of Dojo in Manchester, or enter your address below to find schools closest to you.